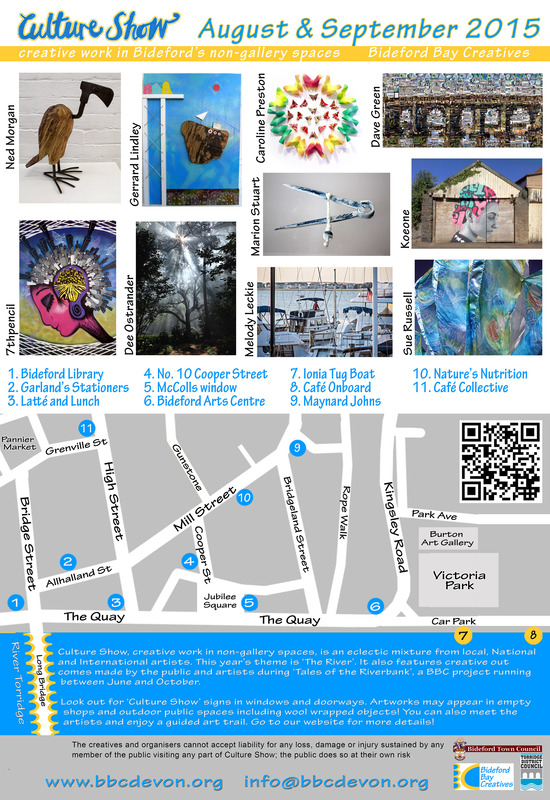 This August Bideford Bay Creatives are again filling the town with art in partnership with local businesses and spaces. This year’s theme is ‘Bridge’. A photographic artist who has built up a unique vision of the world through his digitally constructed images. None of his photographs are simply photographs; most of them are made from up to 100 separate images layered, like strata, on top of each other to build up an impression of what it is like to be in a place, giving the viewer far more than a visual experience.